AniTAY Question of the Week: Visual Novels! HELLO! Kristof had to take a week off from Question of the Week, and he made the mistake of letting me do it this time around, so here I am! Considering that I’m kinda the VN guy for AniTAY, I wanted to ask: Have you played any VNs, and if so, what are the ones you really liked? The Visual Novel genre is huge, and there’s been a lot coming out lately, so if there’s anything VN related, say it loud and clear! Favorite characters, favorite soundtrack, favorite adaptation, anything related to VNs is game here but I’d prefer it if it was specifically VNs. 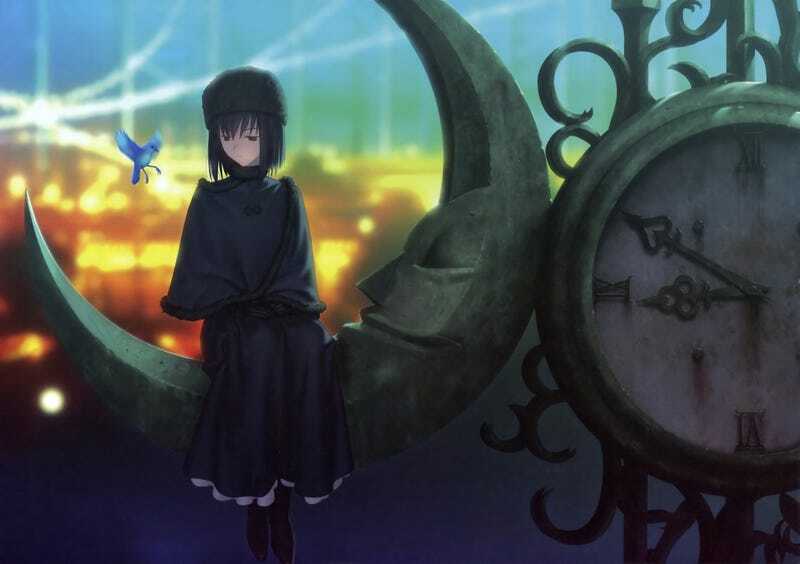 I’ve already listed my top 10 and have spent a bunch of time talking about VNs, so I’ll just talk about one i’ve played lately, and the one that the header is from: Mahoutsukai no Yoru. It’s a Type-Moon VN by Nasu, and after a long multi year wait, it’s finally been translated (abet, a partial translation) and I fell in love with it. It does so much right, it’s absolutely beautiful, the writing is great and the way it tells the story with the sound, atmosphere, perspectives, etc, is just amazing. It’s a reminder of why I love Visual Novels and the Nasuverse so much, and it’s one I wholeheartedly recommend trying out when the translation is done. If you have any ideas for future questions of the week feel free to leave them in the comments, or contact Kristof. Otherwise, see you next Friday.